The place names of Mosul, Basra, Fallujah, Baghdad, so familiar to us today through the continuing violence of war in Iraq, came to the attention of many British in much earlier wars. The failure of the Mesopotamian (Iraq) Campaign and the five-month siege of Kut-al-Amara and its devastating results in April 1916 however, stunned the British public. In an attempt to offer positive news to the British public after significant failures in the war effort, the Gallipoli campaign being one, the 6th Indian Battalion under the leadership of General Charles Townshend set out to take Baghdad from the Ottomans. The bloody battle of Ctesiphon laid to rest any of the initial progress made by Townshend. His 10,000 British and Indian troops, 3,000 of them sick and injured, and 3,500 non-combatants were forced to retreat to the fortress garrison of Kut-al-Amara. The fortress sat in a loop on the Tigris River enabling the Turks to encircle it keeping up continual pressure on the sieged site. 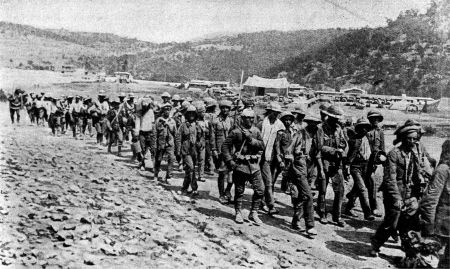 Various British relief contingents failed to break through the Turkish ranks causing a further 22,300 deaths, injuries and imprisonments. Besides continuous sniper fire and shelling of those trapped within Kut, ‘the lack of food, medical help, extreme cold temperatures and torrential rain and flyblown living conditions’, resulted in approximately 1,750 further deaths. After 147 days under siege Townshend surrendered to the Turks on 29 April 1916. Within the group was Molly Whitelaw’s brother, John Alastair Shannon of the Highland Light Regiment. Having been captured in the December 1915, he had been reported missing. The Shannon’s much wished-for news that Alastair, their son and brother, was alive in a POW Camp in Anatolia was confirmed in July 1916. 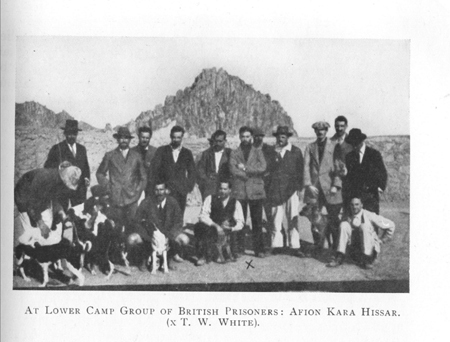 British officers, on an excursion with their dogs from the prison camp at Afion Karahissar. They are wearing civilian clothing and the mountain that marks the city stands in the background. These POW’s lived in the lower camp at Afion Karahissar. from ‘Pursuit of an Unparalleled Opportunity’. References in Molly Whitelaw’s papers indicate Alastair was part of the ‘Death March’ that crossed 1900 kms of Syrian Desert where thousands died of ‘dysentery, beri-beri, scurvy, malaria, enteritis’ and exhaustion. Of the 2,500 white British prisoners who set out on the march, only 856 survived. Shannon spent the rest of the war in Anatolia, quite possibly at Afion Karahissar, with at least 100 British Officers. He was repatriated in December 1918. My curiosity was aroused. What was Bergsonian thought I wondered, what did Alastair have to say in his treatise and did he in any way influence my subject, Molly Whitelaw? I set out to track down this publication. This wonderful site, ‘Forgotten Books’, came to the rescue and over several months I have attempted to come to grips with Shannon’s arguments, some I identify with but others I find esoteric and somewhat confusing- but then I am no philosopher. The dedication caught my attention. To those held captive by intellect whose hearts have been set at liberty by the thunderbolt of a wounded God. The essence of his thinking is reflected in this dedication. In the desert space under the ‘great rock of Afion Kara Hissar’, in what appears to be a relatively moderate Anatolian Officers’ Prison Camp, Shannon (he was a 2nd Lieutenant) set about to write a philosophical treatise on life, death, time, space and silence in relation to war, the value of human life and questions of faith. It took one year of his two-and-a half-year imprisonment to complete. Shannon was studying philosophy when World War I broke out. 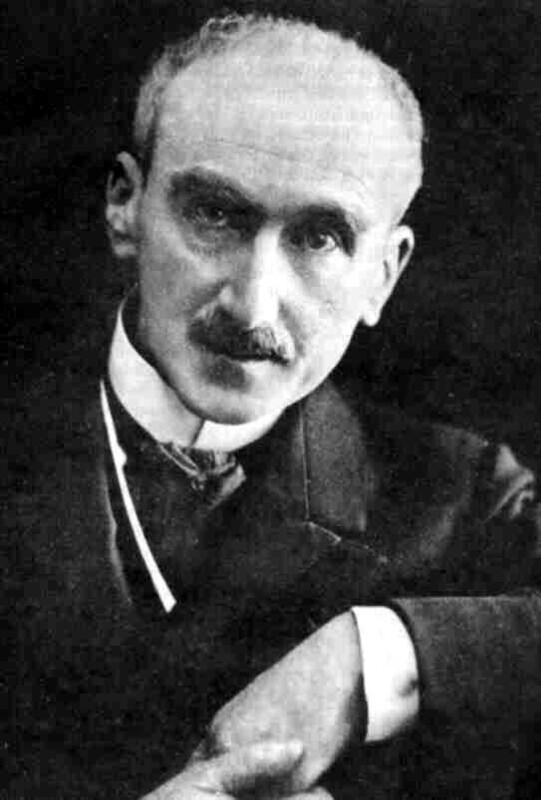 Professor Henri Bergson, the French Thinker, who became an influential popular force in the first half of the 20th century, described by some as having a cult following, where ‘women flocked to his meetings’, made a considerable impression on Shannon. Shannon’s ‘wilderness’ experience opened the opportunity for him to question and test this new philosophy outside the academic environment. For this young man in his early twenties, whose war experiences forced him to find new meaning, Bergson opened possibilities for the re-visioning of self, i.e. a new self-consciousness, leading to a new theory of life. In particular, Shannon desired to test this new thinking alongside his knowledge of the Christian faith in which he was brought up, against these new experiences of war to reconceptualise the meaning of life and to enable a freedom of belief beyond the dogmas that had surrounded him. Bergson’s writings appear to sit comfortably with an evangelical outlook and they held considerable appeal to the American liberal religious wing. His writings provided a framework for theologians, such as Alfred North Whitehead, someone who fascinated me in my younger days. Shannon’s book could well slot into the field of Process Theology. It’s an intriguing text. Shannon presents his ‘inquisition’ as a dialogue between himself (Peter) and a friend he calls Jack. He introduces into the dialogue a scientist to consider ‘life the subject matter versus sciences dealing with Matter; intuition the method as opposed to intelligence used by science.’ The Padre’s theory of man did not suffice these ‘inquisitors’, as the definition of God was too bound in dogma. A philosopher confronts them as a sceptic, which leads to a discussion on what is and how to reach ‘pure truth’. At this stage of the debate, I identified with Atherton, the philosopher, when he stated, ‘I have often dived deep, but I haven’t ever got such a rick in the back as you are giving me, Peter!” And so for the next 100 or so pages they continued their inquisition as if ‘on the road to Emmaus’; exploring the question of how God or ‘life’ could be spoken of in the midst of the tragedy the world was experiencing. Shannon finally resolved, to his satisfaction, a new meaning of life/God and how change can be approached through the silence of the ‘wounded God’ – ‘a silence born of suffering’… ‘This was the dreaded Silence, the Silence where lies all the suffering of the universe, all the travail of Creation longing for birth, God’s infinite pain’. He concluded, ‘Life is action, is expression. Our inquiry into the Meaning of Life is resolving itself into an Expression of the Art of Living’. But he had only reached the ‘Morning of Knowledge’ further exploration of was necessary for full knowledge of life. It is a powerful point of ‘arrival’, however. Written as a ‘lament’, with mystical overtones, Shannon (Peter) comes to terms with death, death of friends, death of those he led in battle and the death of his inner person. He reached his lowest point of being, but the desert experience brought him unexpected life. moan, they dropped like stones at my feet. ” The ranks clash together. The bellows of rage blacken the face of the sun. The bayonets sink deep, deep. There is something broken there. imposest upon me is more fearful than any wound. Hide me, crush me, O Thou Beloved of my soul. no answer to my sorrowful desire. My self-love sprang up in a roaring burst of flame. The moon was dimmed by it. References: There are numerous accounts, diary entries histories and images of the Siege of Kut and the Iraq Campaign and the eventual capture of Baghdad on the internet for those interested. Information on Bergson I also retrieved off various sites on the Internet. Encyclopedia.com has a succinct overview of Bergson’s thinking.